Girl, get ready for those lazy days in this super cute lounge wear set. 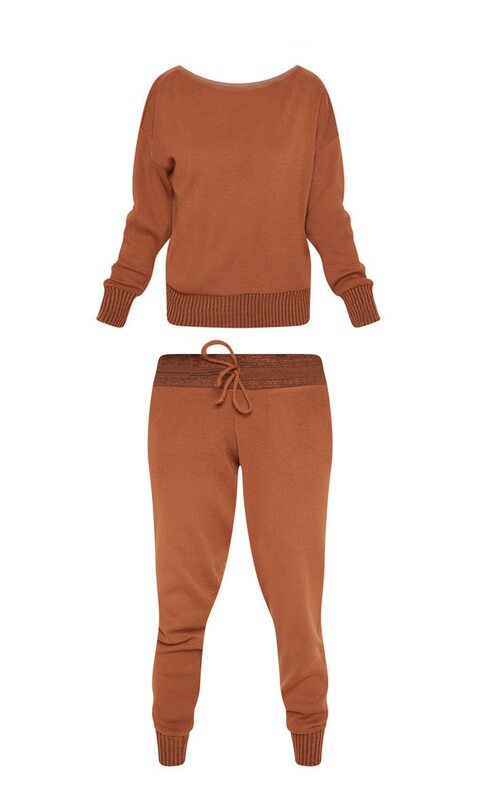 Featuring a rust knitted material, with a loose long sleeve top and matching jogger pants, what's not to love? Finish off the look with sliders or your fave sneakers for a relaxed look we're loving.